Shri Ravishankar Rawal Lalitkala Academy, Law Garden, Ahmedabad. 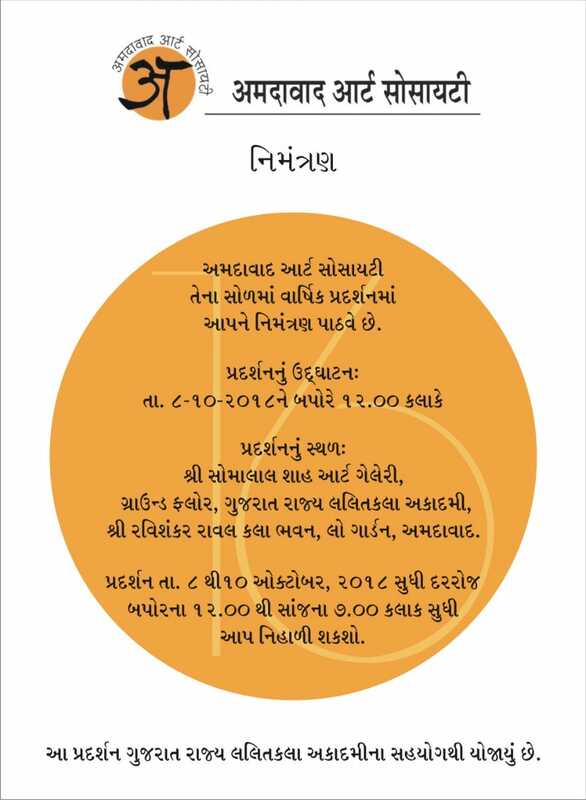 Ahmedabad art Society is organising its 16th Annual Exhibition and they are welcoming all for that exhibition. The exhibition will open at – 08-10-2018 at 12.00 PM. This Exhibition will be held by Gujarat State Lalitkala Academy.